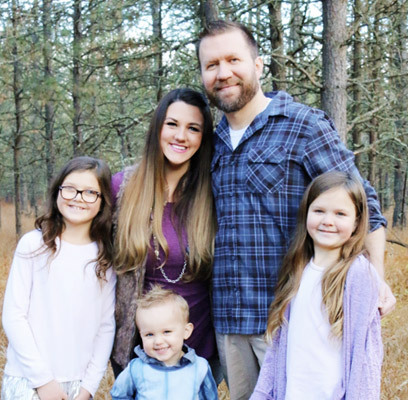 Michael Knott - Director of Homeschool and HomeWorks by Precept Michael was born and raised in Eastern Pennsylvania and is now the proud father of four, who are early in their homeschooled education. He has worked for Precept Marketing Group since 2004 and has been involved in many aspects of the business including but not limited to: marketing, sales, information technology, social media, and more. He has also run his own successful web development business which focused heavily on graphic arts, social media, and customer service. Michael has also been informally involved with HomeWorks almost since it's conception, by developing many of the sales processes, reporting, marketing pieces, and web platforms that make HomeWorks a success today. His passion is to encourage the next generation to become a light in a dark world that desperately needs to see Him. In his spare time Michael enjoys fishing, DIY home projects, serves on his church's board, and is the Commander of an AWANA program. Eujeana Chism - Manager - Trainer and Customer & Consultant Development Eujeana is a veteran homeschool mom of over 20 years, who used BJU Press Homeschool materials to build a strong foundation for her four children. Education has always been very important to both Eujeana and her husband, Mark. They believe that BJU Press provided the high-quality academics needed to keep their children keep on track while allowing them the time to explore each child's interests after academics. She homeschooled her children from the beginning and her last child graduated in 2014. 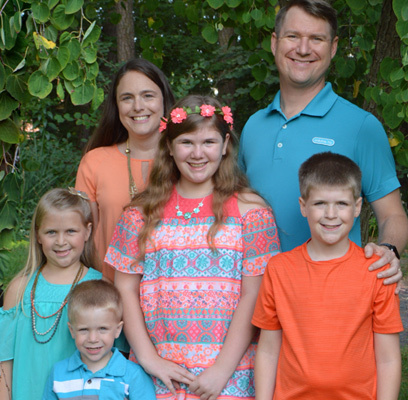 Eujeana has had the privilege of talking with homeschoolers all over the country, sharing what has worked for her family throughout the years to accomplish a well-rounded education for her children. All four of her children are now adults, three of them are married, and all are successful and happy. She became HomeWorks by Precept Consultant in 2004, grew to lead and build two different teams as a senior consultant, and currently serves as Trainer and Customer Development Manager since 2017. Ray Shup - Manager - Operations Ray joined the BJU Press staff in 1999 after 28 years in the medical radiology sales and services ﬁeld. Ray was the ﬁrst full-time homeschool representative for BJU Press in Virginia, Maryland, North Carolina, West Virginia and Kentucky. After the transition to Precept Marketing Group, Ray served as the territory manager for Christian schools and homeschoolers in Virginia. Ray is currently the Field Operations Manager for HomeWorks By Precept. You can contact him with any questions relating to Solutions Events. Outside Ray’s career he enjoys hiking the Appalachian Trail, woodworking, golﬁng, and spending time with his ﬁrst grandchild. Ray and his wife Pam have three formerly-homeschooled, newly-married children, and one adorable grandson. Janelle Miller - Manager - Convention Coordinator & Assistant Janelle grew up in Pennsylvania and graduated with a B.S. in Elementary Education. It has always been her desire to use her degree to share the love of Christ with children as well as educate them by using biblical principles. She is looking forward to helping promote gospel-centered educational materials and helping the consultants do the same. Outside of work, she is a foster parent and enjoys ministering at her church and camp, travelling, being outdoors, and spending time with friends and family. Senior HomeWorks By Precept consultants are not only consultants themselves, but also lead a team of consultants by assisting them with questions, organizing events, and helping them understand products. Every consultant within HomeWorks By Precept reports to one of the following senior consultants. If you need to find a local consultant please use the link below. Nicole Haney - West Coast Territory Nicole has lived in Arizona for 37 years, the last 21 years of which she has spent in the city of Yuma. Jason, her husband of 23 years, and her two wonderful sons, Caleb and Joshua, are very active in their church. Jason and Nicole lead the youth group as well as sing in the choir with their sons. Nicole has an Associates Degree in General Studies from Pima Community College in Tucson, a Bachelor’s Degree in Elementary Education from Northern Arizona University Yuma Campus, and a Master’s Degree in Multicultural/Bilingual Education (also from NAU Yuma). She taught 4th grade for 5 years in a public school. In 2002, the Lord impressed upon Nicole that she needed to be home with her boys, and thus began her homeschooling journey beginning with Kindergarten. BJU Press has been a part of that journey in some way each year. Nicole and Jason credit BJU Press with giving their sons a strong Biblical Worldview and an excellent academic foundation for the future. Nicole enjoyed teaching the curriculum when the boys were younger, but finds the video program helping her sons be more responsible for their own learning. She can’t imagine a better curriculum to help guide her sons into the next seasons of their lives. Sheri DalPorto - South East Territory Sheri and her husband, Andrew, have been homeschooling their children using BJU Press material for the past thirteen years. Sheri had the privilege of growing up in a godly home where her father was the administrator of a Christian school that used BJU Press curriculum. Both Sheri and her husband graduated from Bob Jones University, Sheri with a degree in nursing and her husband with a degree in chemistry. They both ﬁrmly believe that their educational background strongly prepared them for the degrees God has led them to study. 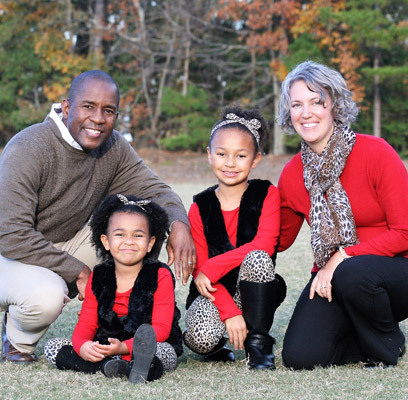 They have been involved in full-time camp ministry since 1994, and have currently made the move across the country from the beautiful White Mountains of Arizona to the mountains of North Carolina. Sheri has one daughter and ﬁve sons, so the Distance Learning program has been a huge lifesaver for their family (not to mention her sanity). From the early days of HomeSat to the DVD and now the Online option, the BJU Press material has been a perfect ﬁt for her home and each of her individual children with their speciﬁc learning styles. Sheri is passionate about her children and about helping other families educate their children on the basis of God's Word. She is blessed with the privilege of preparing the next generation to serve God & impact lives for eternity. Mandy Breeden - North East Territory Mandy and her husband of 27 years began homeschooling their three children when their oldest was 4 years old. She holds a Bachelor's Degree in Elementary Education and taught in a traditional classroom prior to having children. She has been a HomeWorks Consultant since 2007. Her homeschool journey has come full circle since her youngest graduated from homeschool high school in 2014 and her oldest graduated from college in 2015. She rediscovered BJU Press after her oldest learned to read. She was disappointed with her initial choice of curriculum because it focused too much on decoding and not enough on comprehension. Mandy switched to the BJU Press textbook-only approach, and then gradually started using the distance learning program. She is convinced that the decision to add the distance learning teacher to their schedule allowed them to have three success stories. Mandy has had experience from phonics to transcripts and is eager to offer a listening ear and a word of encouragement for those who are still actively educating their children. She is committed to helping parents capture the hearts of their children at an early age so they will have more years to train them for the Lord! Shannon Harrison - North Central Territory Shannon is a stay-at-home mom and a pastor's wife. She and her husband have ﬁve wonderful and unique children. In 2001, when her oldest child was in the second grade, they began praying and looking for a program with a quality education that would help them be able to homeschool and relieve some of the planning pressures, which would make it easier for Shannon to care for the younger children. She was introduced to the BJU Press Distance Learning program at a convention and felt this was a perfect ﬁt for her family. She has been using the Distance Learning program ever since, and she is very pleased with not just the education, but the biblical foundation her children have learned. She is excited to have the opportunity to help other families meet their homeschooling needs with the BJU Press curriculum. Jennifer Leeds - Mid West Territory As a fellow homeschooling mom, Jenn can certainly understand some of the joys and challenges of homeschooling. 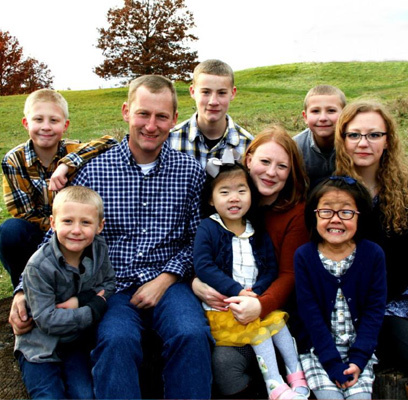 Thus far, the Lord has blessed Jenn and her husband with ﬁve children, four biological and one very precious little girl who joined her family in early 2012. The children range from one year old to happily married. Her oldest daughter revealed plans to homeschool Jenn’s ﬁrst grandbaby (born in January 2012). 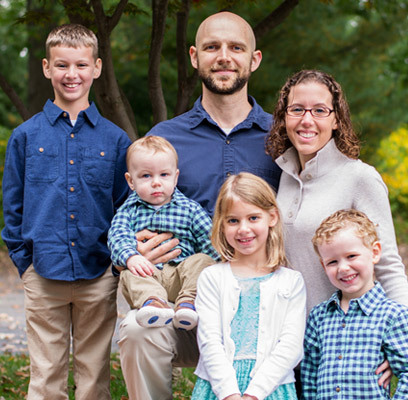 As a BJU Press user for the last 14 years, Jenn and her husband found the curriculum to be a PERFECT ﬁt for their family. From Kindergarten to graduation, she has treasured the BJU Press curriculum because it is not a secular curriculum with a few Bible verses plugged into it. The Bible is foundational to every lesson of every subject. This is absolutely imperative for the education of children and the training of their impressionable hearts. With BJU Press the focal point is comprehension, not memorization of facts. Over the years, Jenn has talked with countless moms who began to see gaps in their children's education, felt frustrated by the lack of direction, and were exhausted by demanding lesson plans. Even before Jenn became a consultant, she shared with friends about her love for BJU Press's philosophy, the ease of lesson planning, and many helpful options available to homeschoolers. What a difference BJU Press made in those mother's lives!